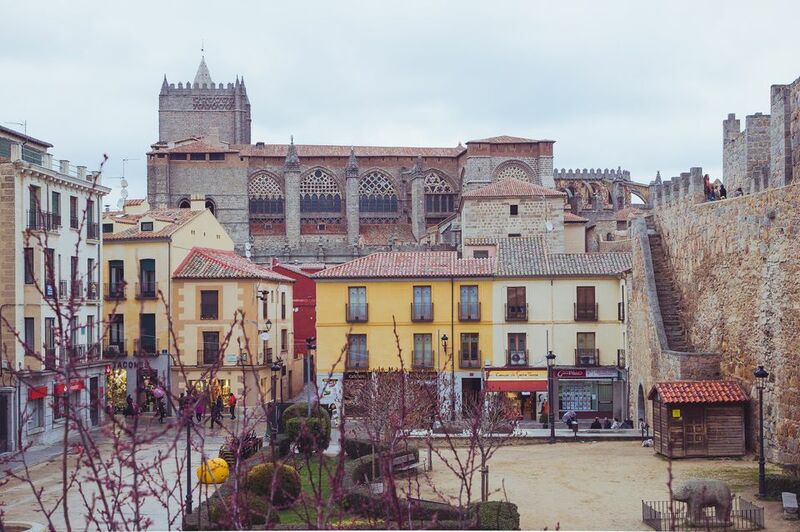 A much-overlooked city not far from the Spanish capital, some say Ávila beats Toledo for "prettiest walled city near Madrid." You can visit Ávila as part of a day trip from Madrid, taking in Segovia at the same time. On Fridays, there is an outdoor market in Plaza del Mercado Chico. Walk along Ávila's city walls between Puerta del Carmen and Puerta de los Leales. Explore the many archways and turrets that once protected the city. Visit the Convento de Santa Teresa, which (somewhat grotesquely) includes Teresa's ring finger, complete with ring. By Car: Take the M30, direction A Coruña, before taking the A6 (direction still A Coruña). Before long you'll see signs for Ávila. By Train: Take line C8 of the Cercanías local train network. Pick up the train at Atocha, Recoletos, Chamartin or Nuevos Ministerios. Check prices on trains from Ávila or look at getting a Rail Pass. By Bus: Avanza runs the bus service to Ávila, from the bus station at Mendez Alvaro metro stop. easyCar, from the people that brought you easyJet, offer car hire throughout Spain and their prices are pretty competitive. Before you book, compare their prices to the other big car rental companies on a website like Travelocity. Ávila's bus station is five minutes' walk from the city walls, with the train station a further five minutes away. From the Jardín del Recreo walk down c/Duque de Alba to Plaza de Santa Teresa. From here you can enter the city through the magnificent Puerta del Alcázar. Once inside the gate, turn left and take a look at the cathedral. Turn left at Plaza de la Catedral. On your left is the main market. On Fridays, Plaza del Mercado Chico hosts an outdoor market which would be a great place to get lunch. Walking out the other end of the square, along c/Caballeros to Plaza del Rastro. From there you can leave the city again and see the views south of the city. Walk along the outside of the wall to the next archway, Puerta de Santa Teresa, which allows you back into the city right in front of the Convento de Santa Teresa, dedicated to the city's saint. Walk around the convent to c/Jimena Blázquez up to Plaza Concepción Arenal and then head left to Puerta del Carmen. Again, leave through this gate and take a look at the great views of the city wall before coming back in and mounting the wall. Also, walk along the north side of the city before coming back down by the cathedral again. While up on the wall, you should see if there is anything else you want to see. Salamanca is only one hour from Ávila by train—if you have to return to Madrid, stay the night in Salamanca and go back the next day. Alternatively, Segovia is an hour away by bus. The best of Ávila can be seen in a few hours and both Ávila and Segovia could be seen in one day (although you would miss out on a lot in Segovia).